LG has confirmed on Facebook that the LG Optimus 2X will be getting an update to Ice Cream Sandwich quashing rumours that the handset would not get the spangly new Google OS. But LG has used the world's most popular social network to explain that the phone will be getting an update and users just have to hold tight. "LG firmly denies the rumours that claim LG will not be providing the Ice Cream Sandwich (ICS) OS update for the LG Optimus 2X," explained the statement. "These rumours are NOT true. 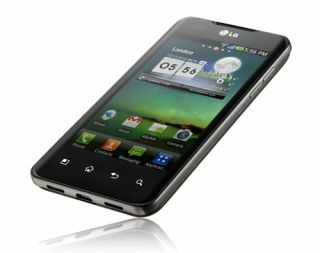 LG is currently in the process of planning the ICS OS update for the LG Optimus 2X as well as other LG high-end smartphones. "Detailed information on the ICS OS update schedule for specific models will be announced, once the ICS OS is publicly released by Google. Please stay tuned for more updates from LG." In our LG Optimus 2X review we gave the dual-core toting smartphone an impressive four stars so it will be interesting to see the phone perform with the OS upgrade in place. Then again, we still have to wait to see what it is like with Android 2.3 Gingerbread which is set to come in a week or so.